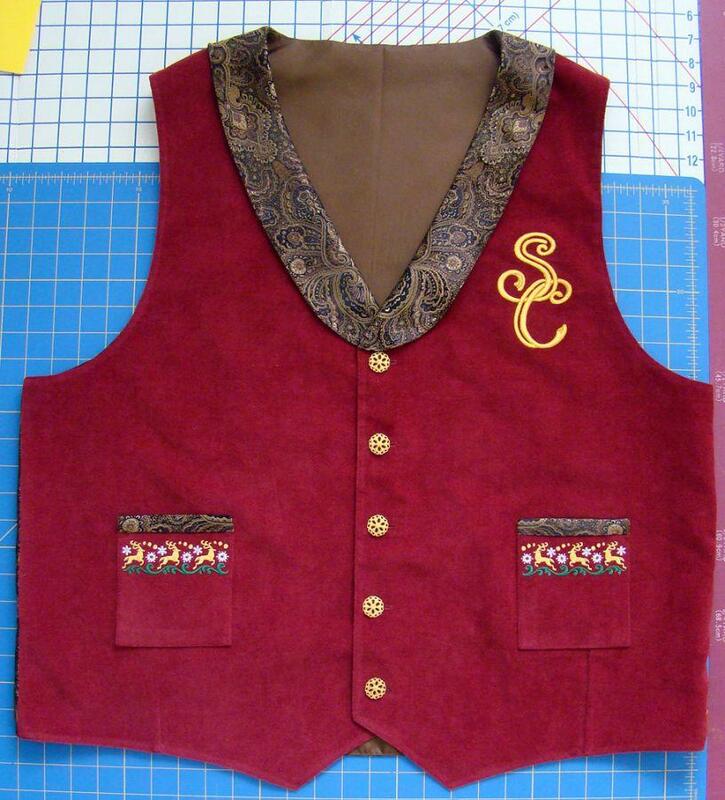 Another LSS member wanted a vest like the one I made for Dave, but with different embroidery on the pockets. I just love this vest, can you tell me more about it? what is the vest made out of and cost ? It is a non wale corduroy fabric for the front. The back outer, collar and pocket tops are a poly blend brocade, and the lining is a poly "silk" taffeta. The buttons are 1-1/8" wide golden "snowflakes". As shown, with the 3 embroidery designs and in a size Large - 2XL, it is $180.00 plus postage. Hey Eileen, I am wondering does this vest have a size adjuster strap in the back? Also how much time do you need to make one? All the "shorter" vests (as opposed to the longer 1800's styles) have a back buckle/tie adjustment to them. Right now I have a waiting list for this year that I can put you on, but the odds of making it for you for 2015 are slim. I am floored that I am booked solid for the year already (I have been since mid-Sept of last year! ).